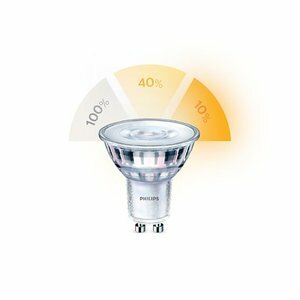 Philips LED GU10 lamp 5w 2700- 2500- 2200 Kelvin dimmable by using the wall switch. You do not have to replace it for a dimmer. 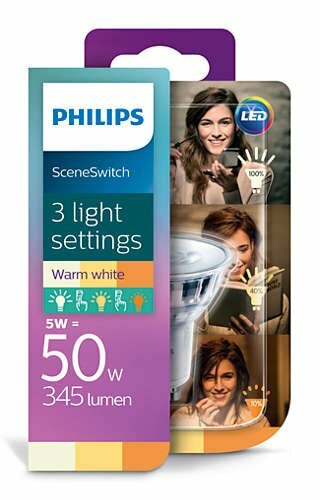 By switching several times the light will burn less. 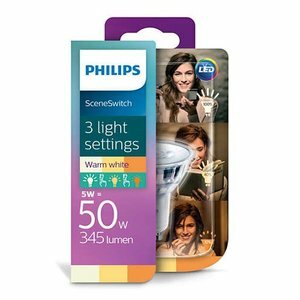 With a Philips SceneSwitch LED spot you can easily change the setting with your existing switch. You do not have to install anything extra.